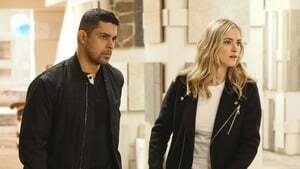 The NCIS team investigates a deadly car explosion in D.C. that connects to NCIS Special Agent Nicholas “Nick” Torres, who disappeared six months ago while on a deep undercover assignment in Argentina. Also, Gibbs asks NCIS Special Agent Alexandra “Alex” Quinn to shadow his team after rejecting eight agents she instructed and referred for the open position. NCIS uncovers a bomb plot and a long-running theft ring while investigating a death at a Quantico reunion. Also Torres and Quinn adjust to life on Gibbs’ team, including new seating arrangements in the squad room. When the NCIS team investigates a marine sergeant’s tragic fall from a building, her doctor, Grace Confalone, confides in Gibbs and suggests he treat it as a murder investigation. Also, Torres searches for a place to live. After the body of a navy lieutenant is discovered aboard a destroyer during a tiger cruise, when civilian guests are allowed to spend the night on the ship, Gibbs, Quinn and Palmer travel out to sea to investigate. Also, McGee contemplates the perfect proposal for Delilah Fielding. Torres boldly breaks protocol when he learns a witness in an NCIS case is wanted by U.S. Immigration and Customs Enforcement. Also, Abby, Bishop and McGee woo landlord Tony DiNozzo Sr. in the hope of subletting Tony’s apartment. After NCIS Agent Bishop is sent to Gitmo to gather evidence for a Navy chaplain murder case, she questions her previous work at the NSA. Also, Bishop’s brothers, John and Robert, visit for the Thanksgiving holiday and pester her co-workers to find out who she is dating. 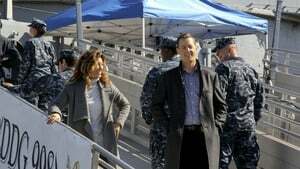 The NCIS team investigates a series of escalating threats against congresswoman Jenna Flemming, while Director Vance oversees her temporary protection detail. 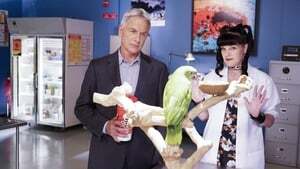 After the NCIS team tracks evidence from the murder of a Navy captain to Ducky’s deceased mother, Ducky looks back and questions a pivotal life choice he made 37 years ago. Also, the team exchanges holiday gifts, and Gibbs spends Christmas dinner with Fornell. 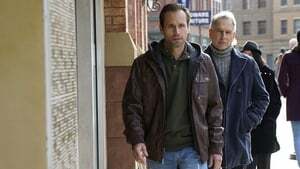 NCIS searches for new leads after an undercover operation to apprehend a businessman who uses acts of terror to manipulate the stock market is compromised. Also, Bishop and Qasim find a break in the case together. When Gibbs spots the brother of an "NCIS Most Wanted" suspect, he takes the opportunity to assume his former alias and go undercover with their infamous anti-government militia. This leaves the NCIS team to piece together where and what Gibbs is up to. Meanwhile, Bishop and Reeves partner up on an off-the-books investigation. 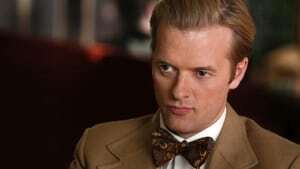 During an NCIS hit-and-run investigation, Palmer joins a stranger on the outside ledge of a building in an attempt to save his life. The murder of a Petty Officer in a small town outside D.C. prompts NCIS to once again work with "The Sherlocks," a privately funded investigative team that includes their newest member, Anthony DiNozzo, Sr.
After Abby's homeland security think tank is compromised and she is found in possession of a real bomb, the NCIS team discovers the leader of the group has been murdered and a theoretical terror playbook has been stolen. 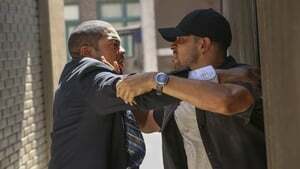 Bishop is more determined than ever to seek revenge for the murder of Qasim, her late boyfriend, after Gibbs and the team find a new lead in the Chen case. Also, Torres teaches the agents the art of pickpocketing. McGee discovers his apartment has been torn apart by a robber trying to locate an item of great value hidden somewhere by the convicted criminal who previously owned the unit. Also, Congresswoman Flemming (Mary Stuart Masterson) tries to persuade Director Vance to pursue a career in politics. To carry out a sailor's dying wish, Gibbs and the NCIS team reinvestigate a murder case that was originally ruled an accidental death. Also, the case reminds Torres of a tragic time from his past. A vice admiral tasks McGee with tracking down the hackers who infected his laptop with ransomware before the virus wipes out all his data. The cyberterrorism escalates when the virus spreads to the whole NCIS office. Quinn's family secret is revealed. A Marine's murder has connections to a dirt bike gang that Torres joined while on an old undercover operation. A gunnery sergeant's murder in a national park lead the team to join forces with the mounted police. While investigating the clues, they uncover a disturbing smuggling ring. The team suspects foul play when a healthy, young petty officer mysteriously dies in his sleep aboard a Navy destroyer. Wedding stress reaches its peak for McGee and his fiancée. When a Navy SEAL vanishes during an unsanctioned trip, Gibbs, McGee and Torres travel to an unpopulated area in Paraguay that's teeming with violent rebels.